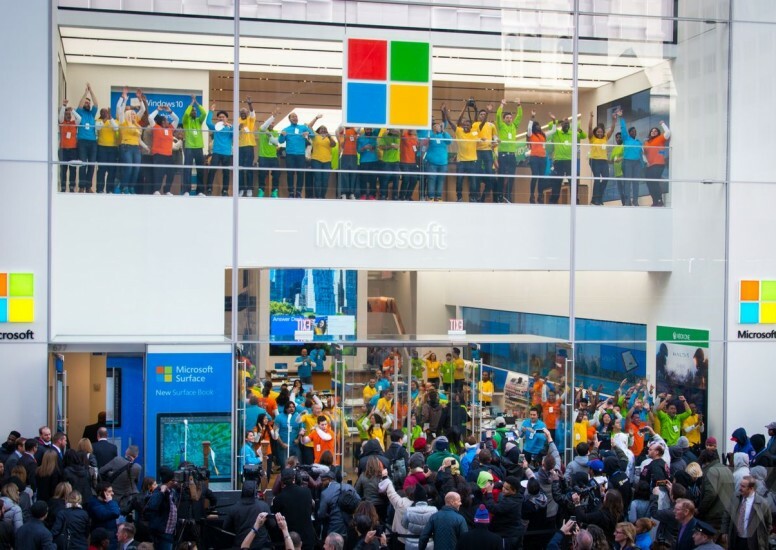 Microsoft opened their first flagship store in New York City at then end of last year which is just a few blocks away from Apple's cube store. This store is spread over 5 floors with 3 of those being open to the public. 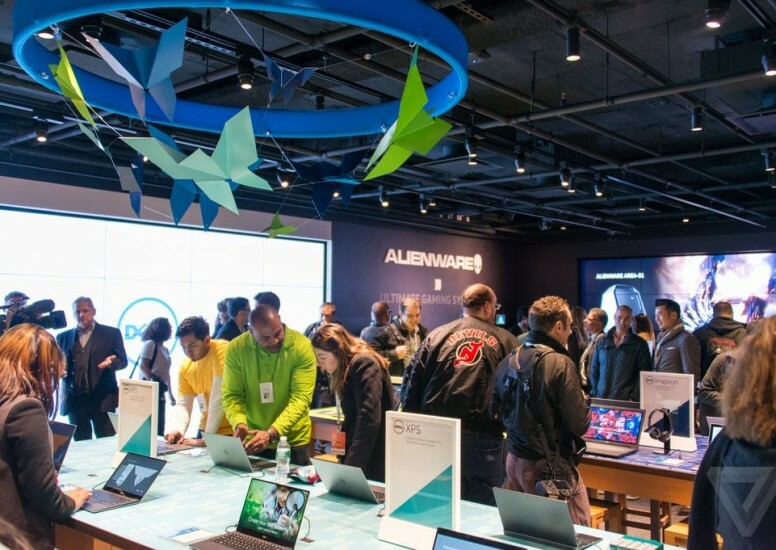 The ground floor offers a vast open space with plenty of hardware on show for customers to be able to test out and get a feel for the product before they buy. 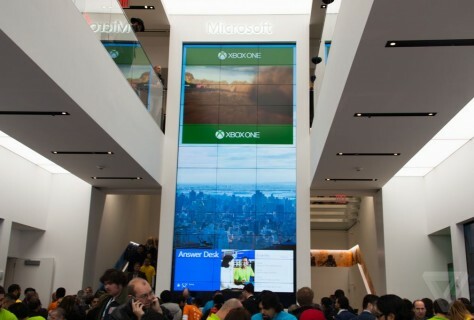 They have also featured a 2-storey video tower at the store's centre and plenty of video walls around the first floor displaying various products and messages. There are several ‘Answer desks’ dotted around the store to offer help and assistance with any products or queries customers have. Their aim is to educate their customers the best they can, they want their customer to fall in love with the product as much as they have. The store will house over 160 members of staff who speak a total of 19 different languages to make sure that all customers are catered for. 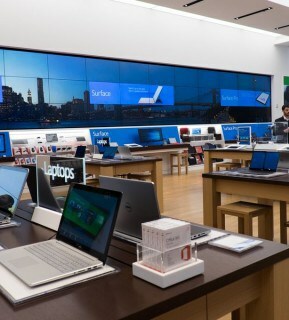 In the centre of the store they have featured a HaloLens headset and Microsoft fitness band in a case so that customers can be a part of the journey see what’s coming next and what sort of things are in the pipe line. The second floor features a large community theatre where training sessions are held as well as other events such as new product launches and talks. 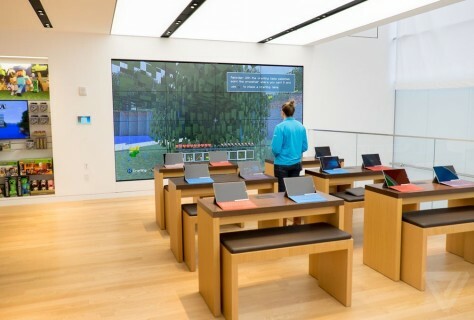 There's even a space dedicated to the gamers with a large section of the floor purely for Xbox and Minecraft products. The third and final floor is then a place to showcase Dell which will also feature other consumer and business hardware. The front of the store is being utilised as a 2-storey 'culture wall' which will display digital art to the passers-by on Fifth Avenue and will not display adverts or campaigns. 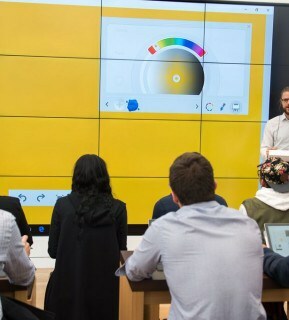 You can look at this store and pick out many characteristics that you would also see in the Apple store, but Microsoft has also put their own unique twist on the interiors and service to make them differentiate from the competition.